Penny Churchill reviews the country house property market for the year so far and finds that buyers have been striking while the weather’s hot, with prime estates snapped up like ice lollies at asking price – and sometimes even more. Although one swallow doesn’t make a summer, the arrival of a mating pair is usually a harbinger of brighter days to come. And so it proved for former buying agent-turned-fund manager Rupert Bradstock, when he decided to launch his elegant west Berkshire family home, The Old Rectory at West Woodhay (pictured at the top of the page), in the North Wessex Downs AONB, onto the open market in the Royal Wedding issue of Country Life on May 16. Offered at a guide price of £7.75 million through joint agents Knight Frank and Savills, the classic Georgian former rectory, set in 14 acres of lovely gardens and grounds on the edge of the 2,000-acre West Woodhay House estate, was snapped up by a decisive buyer within a matter of days, at a price rumoured to be ‘well in excess’ of the guide. According to the vendors, it was The Old Rectory’s ‘incredibly private and peaceful setting’, allied to its remarkably easy access to central London by road and rail, that inspired them to purchase the house in 1996 – the same factors that, apparently, played a large part in the new owner’s decision to buy. An equally fast-moving scenario played out a month later, when Knight Frank found a ready buyer for the late Sir Robin McAlpine’s idyllic 278-acre Aylesfield House estate set in rolling Hampshire countryside near Shalden, three miles from Alton, following its launch onto the market in early June. 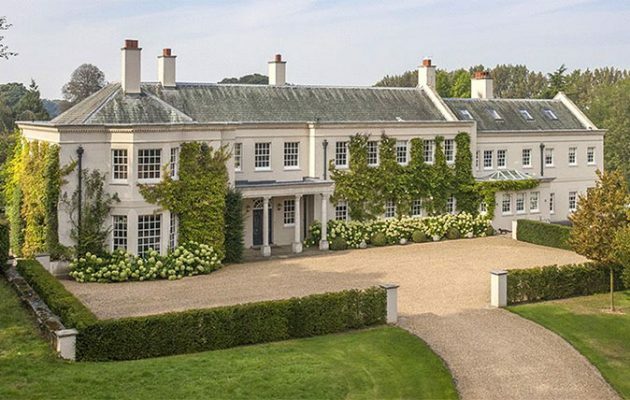 It sold for close to the guide price of £11 million, the highest price paid for a Hampshire property so far this year, says Ed Cunningham of Knight Frank, whose home county this is. With almost 45% of Knight Frank’s portfolio at this level of the market currently on offer privately – usually under Draconian conditions of confidentiality – it takes a while for news of major deals to filter through to the world at large, but when it does, it undoubtedly helps to boost the confidence of both buyers and vendors – something that has been sadly lacking of late, he admits. His view is supported by Crispin Holborow of Savills, who nowadays operates almost exclusively in the rarefied private domain. He acknowledges the conclusion of a couple of recent big sales, which he is unable to discuss for reasons of confidentiality, but that, when the word eventually leaks out, ‘will give a bit of a fillip to this end of the market’. Meanwhile, the sunshine also worked its magic for Savills on another high-value property in the North Wessex Downs AONB – the imposing Soley House near Chilton Foliat, four miles north-west of Hungerford, on the Wiltshire/Berkshire border. Launched on the market in Country Life at ‘offers over £12.5 million’ in September last year, the impressively authentic Georgian-style mansion, built in 2004, with some 116 acres of gardens, parkland, woodland, paddocks and palatial equestrian facilities, ‘took a while to get going, but sold very well for close to the guide price when the market finally warmed up’, Mr Holborow reveals. 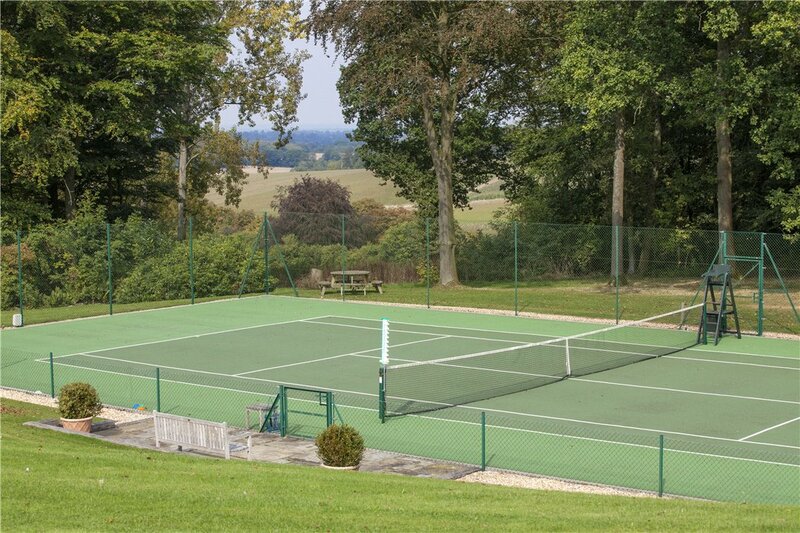 Unusually, the neighbouring Cotswolds hasn’t yet produced a star estate this year – at least, not one that we’ve heard about, although Luke Morgan of Strutt & Parker has seen more properties coming onto the open market since the sun came out, that had been on offer privately during the winter. ‘People who don’t need to sell their big country houses tend to lie in wait, but as soon as the leaves are on the trees, the gardens are blooming and pictures suddenly bounce out of the page, they reckon it’s time to go public!,’ he says cheerfully. Having jumped the gun with the launch onto the market before Easter, at a guide price of £2.25 million, of Grade II-listed The Grey House at Lowerdean, near Turkdean, in the heart of the Cotswolds, he was happy to see his own theory disproved when the charming, six-bedroom, Cotswold stone family house, set in 2¾ acres of gardens, tennis court and paddock, went under offer within days – and for more than the guide – just before the spring rush. ‘After a slow start to the year when the weather brought general depression all round, the sunshine in the latter part of the spring brought the buyers out in the Cotswolds, with a greater proportion of local full-time residents, rather than London buyers, who are perhaps deterred by the swingeing stamp duty on higher-priced houses and second homes in particular,’ says David Froggatt of Jackson-Stops in Chipping Campden. He cites the example of Eddon House, a fine, Grade II-listed 17th-century house with stabling and 6½ acres of gardens and paddocks at Darlingscott, two miles from Shipston-on-Stour, which attracted ‘brisk interest’ at a guide price of £1.95 million and is now under offer to a local buyer. The immaculate Saintbury Grounds Farm at Saintbury, Gloucestershire, comprising the original 17th-century, Cotswold-stone farmhouse and barns, extensively remodelled in recent years and set in some 38 acres of land and gardens at the base of the Cotswold escarpment, was launched on the open market at Easter at £3.5 million and, again, found a local buyer. With caution the watchword at all levels of the country-house market, the shiniest apples are still falling close to the tree – especially at the very top end, which is currently dominated by overseas buyers who rarely look beyond one to one-and-a-half hour’s journey from London. And in that vein, James Mackenzie of Strutt & Parker is celebrating the recent sale of several high-value properties, including the august Woodmancote Place near Henfield in West Sussex, ‘an exceptional and historic country estate in a glorious lakeside and parkland setting’, which found a buyer at a guide price of £7.95 million. Is the farmland price boom at an end after two decades?